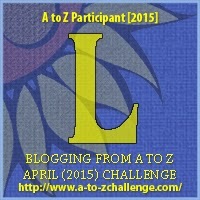 Today we are highlighting another British Company/Brand as part of the April A to Z Challenge. I chose not to do Filofax for F – so I can’t possibly let L pass me by without doing Letts. Letts are one of my favourite diaries and I often blog about them in my annual countdowns. If you are practical, organised and just want to get things done without any fancy stuff – these are a solid choice as they are luxurious but keep you focused while still being affordable. The name Letts has been synonymous with diaries since the beginning of the nineteenth century. In 1796, the founder, John, established a stationery business in the arcades of London’s Royal Exchange.The merchants and traders who frequently purchased stationery items from this shop needed a means of recording the movements of stock and controlling their finances. John Letts responded to the needs of his merchant customers in 1812 by creating the world’s first Commercial Diary. The diary soon established itself as an essential feature of commercial life. The rapid refinement of the product, with the introduction of detailed information sections, meant that by the 1820’s the first modern style diary ranges were published. In the past few years, Letts have invested in machinery and fulfillment systems that allows them to offer a more personalised option. We now implement global contracts, which include a web-based order system, offering bespoke products, and added product personalisation which are then fulfilled to all regions of the world. Over 300 staff are employed by Letts at a 250,000 sq ft factory which incorporates customer service, print, bindery, and fulfillment on one site. Throughout the years Letts has undergone a number of ownership changes and in August 2000 a Management Buyout team were successful in buying the company. Discussions commenced on October 2000 to acquire Filofax. In July 2001 Letts Holdings Ltd acquired the Filofax Group to become the Letts Filofax Group Ltd. LFG now comprises principally of two UK operations and eight overseas subsidiaries. Interesting. I can’t seem to find a good diary to write in so I use a notebook. I saw you were in A2Z challenge. Good Luck!